Is your orginization on twitter? I’ve stuck myself with an inherited name, because it was so identified by families within the church. I think if I changed it, people would still call it the old name. .-= jonathan´s last blog ..Twitter Weekly Updates for 2009-10-25 =-. We have done the same thing at Oak Leaf Church. We were KidVenture for nearly 3 years. This August we launched a new curriculum and a new name, Oak Leaf Kids. What spurred the re-branding was when we chose to change the name of our student ministry from Fuel to Oak Leaf Students. Through many conversations about students and why so many teens are committed to their youth group and not the church, we have been emphasizing that they are a part of Oak Leaf Church. Since then, we have had students rise up as leaders and serve with Oak Leaf Kids with such passion. it’s just a name, but changing our focus with the name has made great strides for us as a church. We changed our name when our whole church re branded last year. I think it’s really good to have a name that ties in with the church name – partly for the un-churched community so that they can make connection. It’s also good for the kids and parents – a name that’s connected to the church shows that the kids ministry is connected. We’re building the house of God, not the house next door. So we went with the simple Church inspired – Hillsong Kids kinda naming idea. My thinking is that with five age groups (Cubbyhouse, Ark, Fun House, All Stars and Voltage) parents don’t really care or don’t need to care about more names within a ministry. If there was a way to get rid of age group names I would. Keep it strong and simple is my thoughts. .-= David Wakerley´s last blog ..Top Ten =-. I inherited ‘Kids on the Rock’ and my wife hated it. So finally we’re changing/rebranding to C4 Kids. Our church’s strategy is C4 (Connecting to God, Connecting to Others, Ministry, and the World) so we’re jumping on board with that. Plus, we can get creative with C4, huh? Can you say Explosive Children’s Ministry?! I think Rebekah struck on something that is key. Renaming the same old thing is tough to create momentum around and can lead to confusion. Tying the change to a real difference (like curriculum or age groups or a remodel or church branding) is way better. We recently had to rename our 5th and 6th experience from FUSE (which I loved) to THE LOOP (which I think is silly) after only a year because another church wouldn’t grant us permission to use the name (Since we give away curriculum with the branding. Weird, huh?). People are struggling to get what happened, especially since the Fuse name was only a year old itself. It occurred with a real difference though, a change from a 4th-5th room to a 5th-6th room. To David, I think room names for age groups are important. If I’m in the kdg room and move to the first grade room, that’s pretty boring. But the names create mystique and anticipation. Especially ones like David’s which are each cooler and more exciting as you move up. If I were in any one of his rooms as a kid, I would be totally stoked to move up to the next. I have just been thinking about this! So glad I ran across your article. Our church is Liberty Hill General Baptist Church. (quite a mouthful) And to date, our children’s ministry has simply been Liberty Hill General Baptist Church Children’s Ministry. (an even bigger mouthful!) Our Youth is not necessarily called “The Hub”, but that is their location or where they meet within our church. It is called this because we are a growing rural church in the middle of several area communties, which is frankly, pretty awesome and I love the name and the idea that we are “the hub”. I think the youth simply choose to be Liberty Hill Youth. We use several different “named” curriculum within our children’s ministry and I don’t want to name our ministry to follow this, I would like a unique name. I like the idea of syncing with the church name and have even thought of “Freedom Kids” to go along with “Liberty Hill”, but am not necessarily fond of using all that one would think should accompany a name like this, ie…stars, stripes, red, white and blue…. Anyone else have a cool thought? I love Liberty Hill Kids! It’s got a great fell. Freedom Kids is cool too, but then you’ve got that separate name from the rest of the church you have to wrestle with it being ok or not. Just my opinion, but I’d run from “Liberty Hill General Baptist Church Children’s Ministry” as fast as you can.That’s just painful. We started a new church “New Beginnings Worship Center” do you have any comments to youth and children’s ministry names? Of course, ultimately it will be birthed through prayer. I am in the middle of planning a total rebranding. I would do something different than Big Kid U. Not sure a 4th or 5th grader would be care for that name. I’ve loved reading your comments. I would love any thoughts you would have for me. We are a new church start and Orchard Path is our name. I was thinking something like OPC Kidz (or s) but have also like suggestions I’ve seen other places like naming the kids ministry The GROVE. Any thoughts? Thanks in advance. Peace in HIM! Personally, I vote BeachKids or BCC Kids. I tend to go with simplicity, clarity and broad appeal. Both of these names can fit with any age group and kids of any age could identify with it. You could always name specific age areas that are age specific… But your overarching name needs to not single any age group out. Also, both of these names clarify that they belong to Beach Community Church. No ambiguity there. Last of all, it’s really simple. You can “fun it up” with a logo or brand… But it’s just too easy. Those are my thoughts though. Till now we called our church children’s ministry as SUNDAYSCHOOL.Now we desired to replace this name based on our church theme(RAISING LEADERS FOR CHRIST)..
CAN YOU HELP US TO NAME OUR CHIDRED’S MINISTRY? I just renamed our Children’s Ministry Crown of Life Kids which used to be Kid’s Korner. Now i am trying to come up with some age group names. birth-2 yrs, 3-5 yrs, and 6-12 yrs. Anyone got any ideas for me? Our church is Crown of Life Lutheran Church. Thanks! I can’t believe how hard it is to name a group for 9-11 year old girls! Any other ideas or comments anyone?? I am looking for a new name for our children’s church. We are moving into a bigger area of the church which we just added and all will be new. I am searching for a new name which would include our church name, Grace Fellowship Family Worship Center. Also, looking for a new theme for the room. We have been called Sonforce kids and had a space theme. Wanna change it up for the new space and make it new and exciting. Any ideas? Rebranding. Need a name that reflects a connection between church and home. For me, it is very important to rename your children’s ministry a name that prophecies over them each time someone speaks it. It empowers them and the church community. We are just starting a Childrens Ministry and looking for a name / brand logo for our group. Our church name is New Beginnings Worship Center. I want something unique. THanks for the help. Ok here is my dilemma in the process of transitioning from one church to another, and looking for a name for my new Kids Church. The problem is I love the name of the kids church from my previous church which is EXtreme Kids….do you think it would be ok to use the same name? I would probably add the initials of my new church to the beginning? Personally, I say start fresh. Sometimes I get a little weirded out when I see someone go to a new church and completely transplant everything they did at their previous place at the new place. Sure, most things can be re-done, but this is an opportunity to be a little creative and tie into the DNA of your new church. Hey everyone! Such great thoughts. I am at the point with developing major program changes by Fall 2012 and truly desire to have a catchy name for the ministry. RIght now, we don’t have anything except our church name which is a mouthful…Glen Ellyn Bible Church Children’s Ministry. I could just called it GEBC Kids or something but that sounds so lame. Any ideas? Would you have a name that sync’s with the new curriculum we are going to do? Yuck, that is a mouthful. I don’t love it. Could you get away with Glen Ellyn Kids? We are exploring the possibility of renaming our kids ministry. Our church name is APEX and right now we just call our kids ApexKids… But we would like to have individual names for each age group? Any ideas? I’m thinking Apex means “Top” or “high peak so i was thinking of like climbing terms like base camp, summit things like that, but that’s as far as my knowledge goes for climbing. Any help would be appreciated. I think this is a great idea DNewman. It might be a little weird if you’re in a state like, Florida. However, you could incorporate some great mountain climbing terms like base camp, Summit, Tree Line and others. I’d connect with someone who is an avid climber/hiker and get all the verbage. 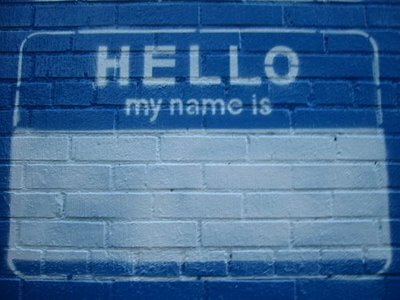 What may help even more than just your room names is adopting terms that becomes a common language for your volunteer teams. Maybe things like “guides” or “expedition leaders” for your teachers/leaders, or even relate other training components to tools you would use while hiking. Maybe a harness, belay system, and other repelling/mountain climbing hardware. One of the biggest things about hiking is accountability. Never do it alone and always let someone know where you’re going to be. When it comes to ministry, safety is always found in numbers. I think you’re on to something good and it would be a fun environment for sure! Hello, I stumbled across your blog doing research.I am in my very first long term children’s ministry position ( I had a 4 month interim position before being hired on where I am currently) and I get to rebuild the ministry however I want. The Church is Kingsway Christian Church and I want to stick similar to the church name when renaming the kids. The mens group here at the church is KingsMen and the women’s group is KingsDaughter. I was thinking either Kingdom Kids or KingsKids. I also want to repaint the entire kids area and was thinking some sort of kingdom theme would be awesome. Any insight would be very helpful. Thanks! My immediate reaction was “KingsKids”, before I got thru your post. The “click” of the K repeated is a well known marketing strategy publicists have used for years. It’s memorable and recognizable. Looking for names for our children’s ministry “Power Up” for the specific age groups Ages 3-5 and Grades 1-6 related to the Power theme – Ephesians 3: 16-19. Any ideas? I like the idea of having the children’s church name related to the name of the church. We are Wenatchee Valley Baptist Church, quite a mouthful. What is your thought on calling our children’s church Wenatchee Valley Kids? Any ideas for renaming a first-sixth grade ministry in an old historical church in a downtown area? First year for us being in this historical building from 1867. OK so I have read through most of the posts, and I truly appreciate all the help there is! I too am in need of naming help! My church name is Aldersgate so I would like to try to get something catchy that will stick and sound fun for them. Any ideas out there> PLEASE HELP!!!!!! I am also looking at branding our KidMin at Mentor United Methodist Church. The 5th & 6th Graders have a fellowship group called StuCo 56 (Student Community). I am changing up our Sunday morning to do a large group/small group format. Any thoughts are GREATLY appreciated! I should also mention that our tag line for the church is “Leading all unto a path of Christ-centered discipleship.” We also use Know, Grow, Show as ways to indicate how we are making disciples. Very insightful. Any comments on using the church branding approach with Mill Creek Church of God? At one time, the youth was known as “Aftershock” A generation to shake the nation but the name has died off throughout the years. Any insights would be very helpful. 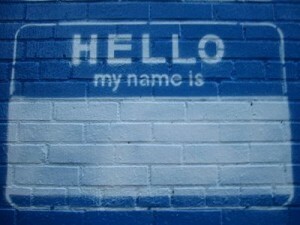 We are currently redeveloping our children’s ministry and would love some suggestions on names. At one point in time, they were called Aftershock, a generation to shake the nation. I would like to take the church branding approach. Thanks! We currently go by Mill Creek Church of God Children’s Ministry. Such a mouthful! I was thinking about the name GOD’S ANGELS ! Okay – I know I’m coming late to this conversation by a few years, but since there was a couple 2015 comments I thought I would go ahead. I have been at this church for 8 months and they never had a name for their children’ ministry. They had two age level names (SonShine City for Elementary and Rainbowzone for Preschool age). I hate those and really just want one encompassing name. We are Grace United Methodist Church and our youth are GUMY (Grace United Methodist Youth) and I love they are called “gummy”. I like Grace Kids however our preschool and children’s day out program is Kids Place at Grace. So, does using Grace Kids for children’s ministry sound too close to the weekday ministries name? I am really struggling. Thanks for any input. This is an ongoing conversation, time doesn’t matter! I agree with you on the current names you have. They sound like they came right out of the 80’s and going retro with your kid’s area names isn’t cool in this sense. And Rainbowzone… I just threw up in my mouth a little bit. Ha! I think Grace Kids is great, but I also think that Kid’s Place at Grace is awesome as well. The biggest brand problem you have is confusion around what your preschool is vs. what your children’s ministry is. I would almost suggest that you rebrand your entire ministry under one of the two names (Grace Kids or Kids Place at Grace) and sub-brand the preschool under it. Call the weekday preschool “Grace Kids Preschool” or “Kids Place Preschool.” Make it obvious. There’s too much ambiguity around the name. I’m sure you already get a million questions as it is, people confused about whether Grace Place is your preschool or your children’s ministry. Creative names are great, but it’s better to be clear, especially when you have multiple programs that can cause confusion. My previous church did the same thing. We had a preschool, childcare (for women’s Bible studies multiple times a week) and Sunday and Wednesday kids programs. We branded everything CTKids. Sunday morning was just CTKids. Wednesday night was CTKids: Discipleship. Weekday preschool was CTKids: Weekday Preschool and childcare was called CT Kids: Kids Club. Imagine that on our website. Super clear. Do the students really like being called Gumy? Do the students you really want to reach and connect want to be called Gumy? I think our students would revolt. It’s cute, but I find that I’ll never reach the football players or other influencers with “cute.” Just my 2 cents. We are in the middle of a Building Campaign for a new addition that will be for the children’s ministry of our church. We currently have a name for our Children’s Ministry, called Kids Krew. Our two departments are Heavenly Harbor and Inspiration Island with our Sixth Graders being Island 6. We went with a Water theme because our churches name is LIfeSpring. I love ALL of it! I have been asked if I will rename when we move into the new addition. I don’t want to but I do want to modernize the logo and the branding we have. Any new thoughts on this topic. I am hearing and seeing the simplicity is in, BUT is that true of the kids as well? I started as a Children’s Ministries Director last summer. Our program does not have a name. We just call it Sunday School. but I am looking forward to implementing a few changes and am looking for a new name to identify our programs. In church, we serve a community of children from babies up to grade 6 and I am looking for something that makes a connection between the children and the rest of the congregation. However, I would like a versatile name that could be used in our outreach program as well, a street ministry or a Bible club, if I can call it that. I’m at: – Duncan Pentecostal Church – Any good ideas? Thanks! Hey y’all! I just love reading through all the comments! I recently started at a new position and really want to breathe new life into the children’s ministry! First order of business is rebranding to form an umbrella name for the entire ministry. Our sanctuary divides our birth to 5 and our 1st thru 6th areas and for many years it has built a rather tall wall between volunteers loyalties! In addition to this a daycare is run full time in the birth to 5 classrooms. It currently is named KidStreet. We had a consultant in to give some opinions and he suggested we adapt ourselves to their name for branding reasons. I am not a fan. Is there a way to work the name of a business into the ministry name? I as the Children’s Pastor am not directly connected to the daycare as it is run by a director and reports to the church board. The church is Twin Rivers Worship Center. The names I am leaning towards are Twin Rivers Kids (the pastor’s favorite) or River Kids (my favorite). How do we incorporate this & blend it with the birth to 5 space? Do we label the whole ministry one thing, the grade school area another, the birth to 5 another and then each birth to 5 classroom individual names?? Then each section of the ministry names would be my next step. I’m stuck on a new for our new 5th & 6th grade class. Our church is Mile High Vineyard, our kids are KidVenture and our Youth are Engage. Since the 5th & 6th grade are under the KidVenture director (me) I would love something that ties into that but still lets them know that they are seen apart from the younger kids. Any ideas on great names? Organizationally, I’d be frustrated to have a separate thing… my preference would be for everything to neatly fall under kids or students… but I think you’re on to something. The kids are going to be much happier to feel like they’ve promoted beyond KidVenture. Structurally, I’d put it under either kids or students. Probably students as these kids need to begin the transition to what’s next. Call it “Shift” or “Merge.” Something fun and mature like that… but it’s also clear as to what it is… but make sure it’s “under” engage and you’ll have kids who are really pumped about promoting. However, it’s going to take a lot of support from the kids ministry. This is hard though. Often, student ministries are challenged to tack on a whole different ministry, which this is. They’re going to need kidmin help to be successful, but it needs to feel like, smell like, taste like and sound like student ministry… these kids are smart and they’ll recognize a bait and switch a mile away. Our church recently changed it’s name to Greater Life Baptist Church. We are looking to name the children’s ministry which currently isn’t named. Does anyone have a suggestion?